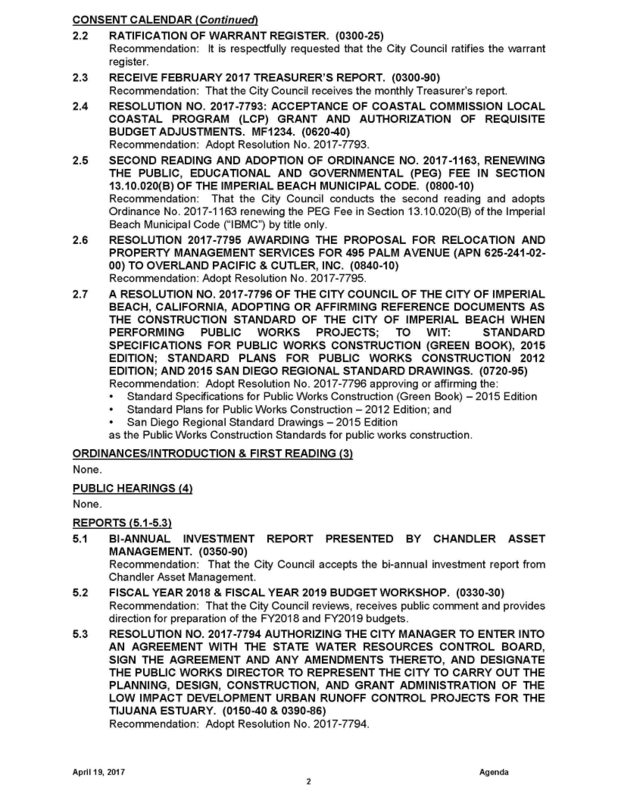 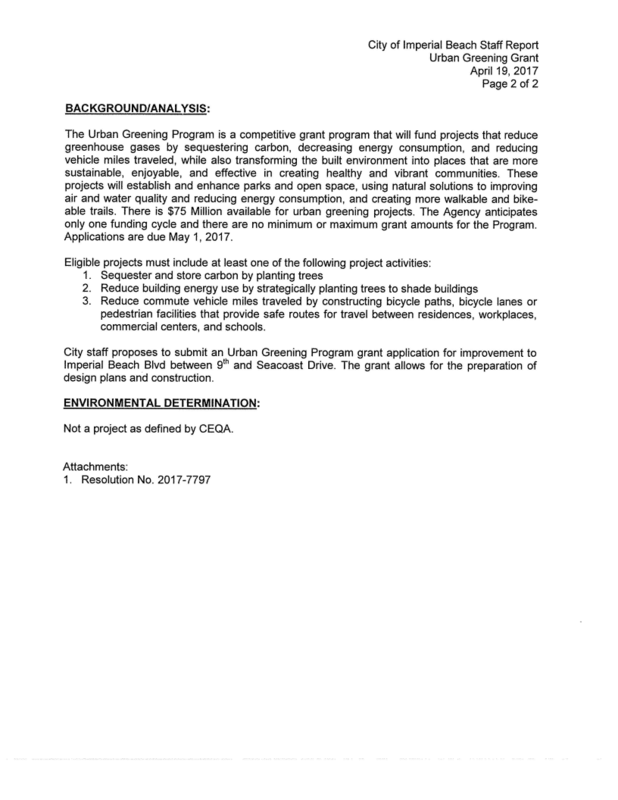 The Special Agenda Item Added is to Approve Application for Grant Funds for California Climate Investments Urban Greening Program which would Provide Funds for Improvements. 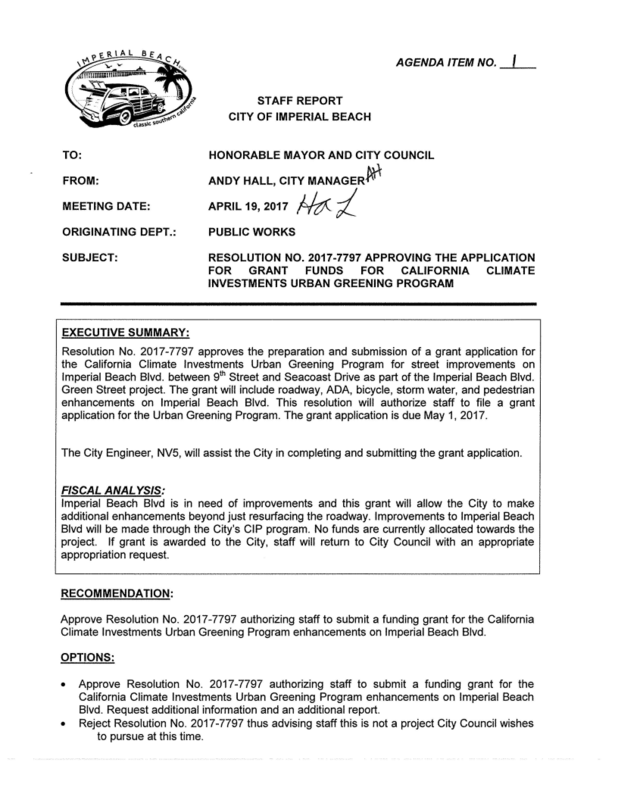 The improvements are part of the Imperial Beach Blvd Green Street Project. 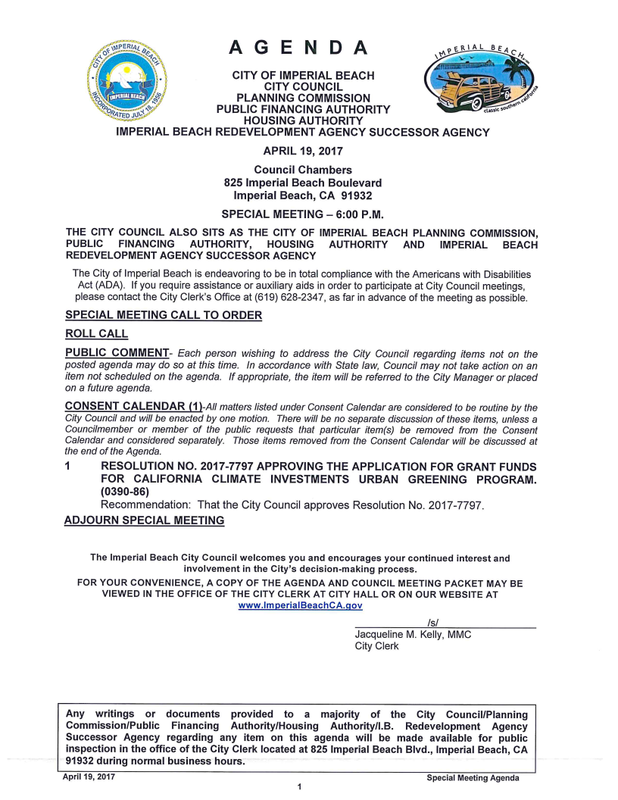 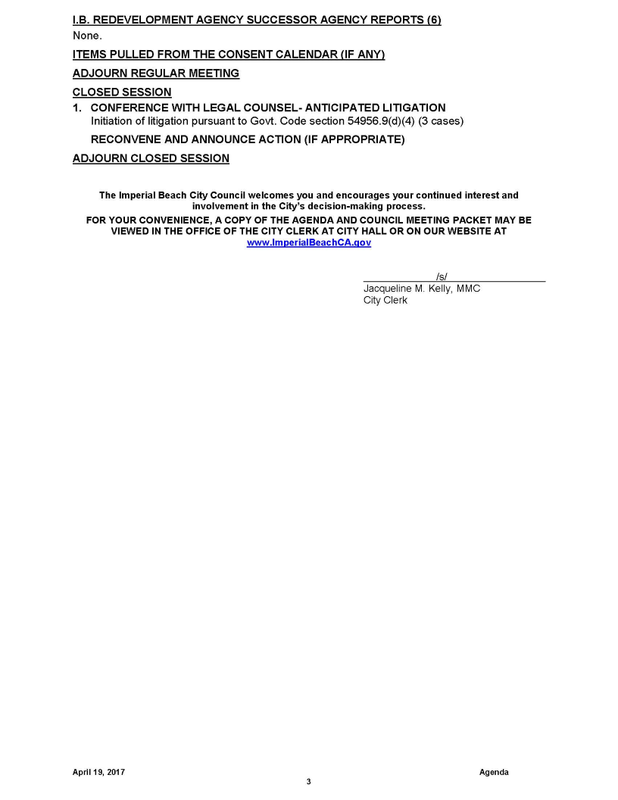 The Grant will include roadway, ADA, bicycle, storm water and pedestrian enhancements to Imperial Beach Blvd between 9th Street and Seacoast Drive. 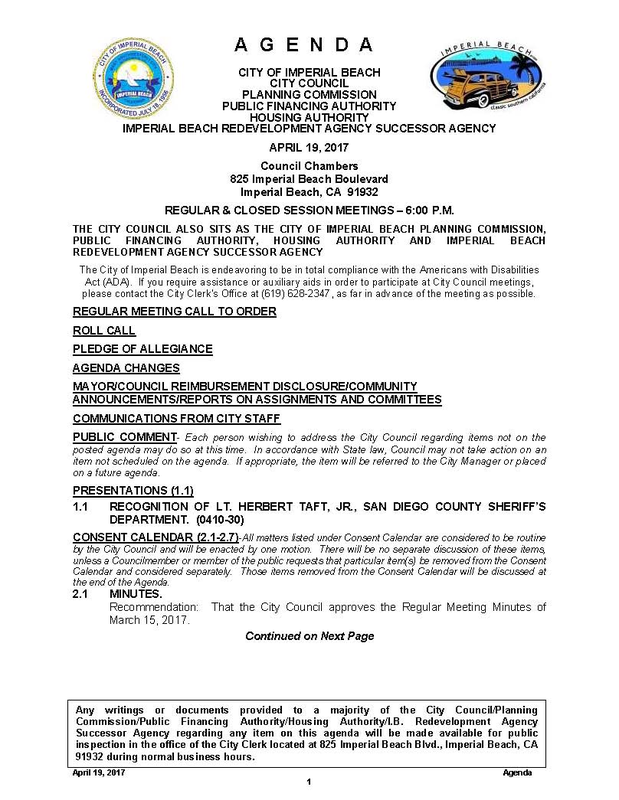 End of special meeting agenda other than signature page and the like.